I didn't know this until yesterday. 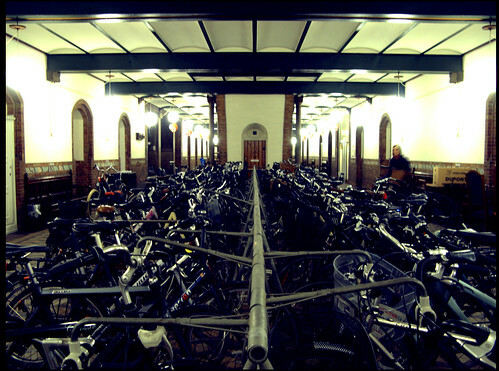 At Copenhagen City Hall they have what is possibly the loveliest bike parking in the capital. Inside the back entrance, where most of the employees enter, there are two large areas for bike parking. Surrounded by the beautiful interior design from when the building was erected in 1905. You can bet that the parking for bicycles was built into the original plan for the building. Needless to say, the racks were filled to overflowing. The person on the right couldn't find an empty spot and ended up squeezing her bike in. 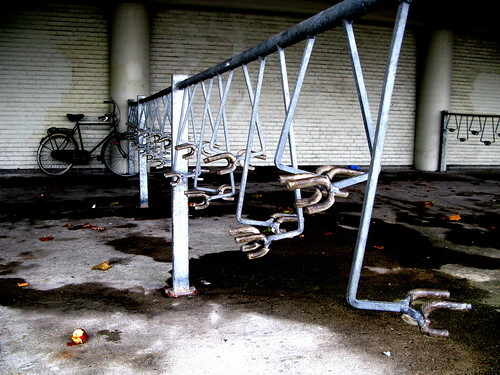 The racks are of a kind seen in many places in Copenhagen. You swing a handle thingy up and place it on your handlebars. It holds your bike in place. There were few bikes actually parked like that. Indeed, I rarely see bikes using this unique design. That's what kickstands are for. Or the classic racks that hold your wheel. 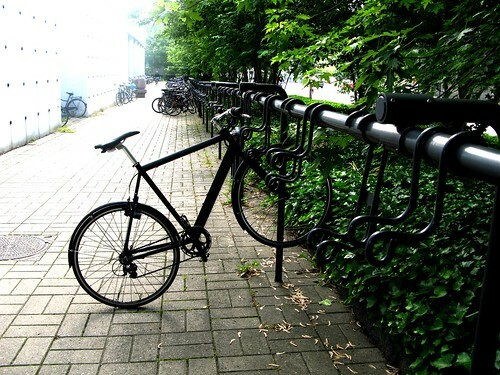 Copenhageners go for ease-of-use and this extra bit of work to park your bike defeats the purpose of ease-of-use. 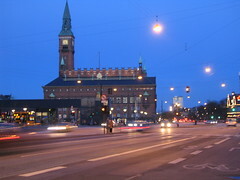 A typical sight. 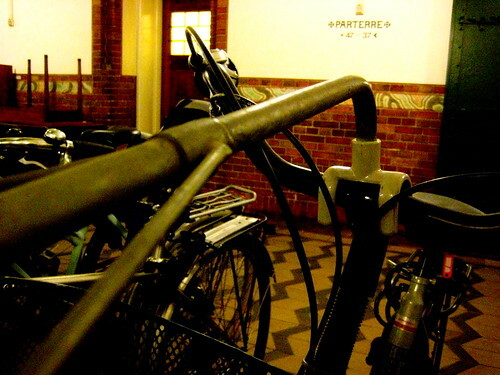 A million handlebar holders and a bike leaning against the wall. Here's another variation on the handlebar holder. With this one you hang your handlebars on the swingy thingy. Again, very few people actually use them. But they look nice.